Below are some of the most frequently asked questions patients have about dentistry and oral health issues. If you have any other questions, or would like to schedule an appointment, please call our office at (212) 581-1091. The healthiest and most effective way to brighten the appearance of your smile is to seek professional teeth whitening treatment. Unlike over the counter products, Rockefeller Cosmetic Dentistry’s teeth whitening treatments are designed to whiten your smile effectively while protecting your gums. 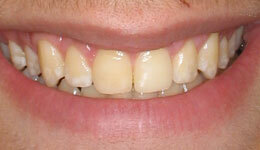 Rockefeller Cosmetic Dentistry offers various ways to whitening your teeth. Custom-fitted trays made from the mold of your teeth filled with whitening gel. 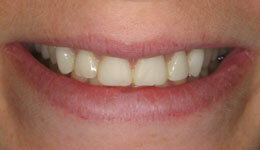 The trays are worn at your convenience for as many days/weeks until you achieve your desired level of whitening. 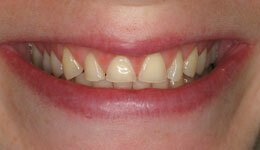 This option is done in the dental office and you will see results immediately. It may require more than one session, with each session lasting 10-12 minutes. Your gums will be protected by a guard all while a special light is used to activate the whitening gel. Rockefeller Cosmetic Dentistry recommends for each and every person to get a dental cleaning and exam at least twice a year. Your dentist and/or dental hygienists may recommend for you to come in more. Regular dental cleanings and exams play a big role in maintaining healthy teeth and gums while also preventing dental problems. During these dental visits, your teeth are thoroughly cleaned and checks for any cavities. What Are The Benefits To Laser Treatment? Metal-Free Dentistry focuses on using non-toxic restorative materials. There are metal-free filling material, metal-free crowns, and metal-free implants. Our certified dentists at Rockefeller Cosmetic Dentistry use metal-free restorative material known as composite. A composite filling is a “white”, “tooth-colored” filling that is aesthetic appeasing, as they blend in with the surrounding natural teeth much more seamlessly. For teeth replacement patients looking for a natural, holistic way to replace teeth, metal-free zirconia dental implants are the latest success in natural cosmetic dentistry. Zironia Implants are 100% Biocompatible (non-toxic). There’s virtually no allergic reaction potential, meaning they have a higher level of osseointegration (acceptance and integration with existing bone structures). Smile in a Day™ is a state-of-the-art technique that uses dental implants to safely, predictably, and immediately replace missing teeth or stabilize your existing denture. This procedure is often the ideal solution for NYC dental implants patients who have been told they need to have their teeth extracted, those who experience the negative effects of wearing dentures, or those who are mission one or multiple teeth. Metal-free Zirconia Implants, make for a whiter and brighter look as there is no metal to show through or darken the appearance of the crown nor is there any possibility of metal showing through at the gum line. An intense fear of dentists is commonly referred to as dentophobia — or more technically odontophobia — and affects approximately ten percent of all dental patients, and even more of the world at large (who never visit the dentist as a result). Good oral health depends on a daily hygiene regimen (brushing and flossing twice a day) and routine check-ups (at least every six months) with a qualified dentist. This can prove extremely detrimental to a patient’s overall oral health considering the progressive nature of gum disease and tooth decay. 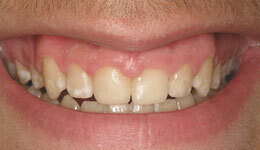 For instance, gingivitis can grow into advanced periodontal disease eventually causing bone density and tooth loss. That’s why it’s paramount to make sure our patients feel comfortable coming into Rockefeller Cosmetic Dentists — and why we offer those suffering from extreme anxiety IV sedation. Minimal — patient kept awake but relaxed, light doses of nitrous oxide (laughing gas). Moderate — patient may slur words and forget part of the procedure afterward, but is generally still conscious. Uses stronger doses of nitrous oxide. Deep — through the use of IV sedation (a general anesthesia) on a light level, the patient is kept at the edge of consciousness and can still be awakened if the need arises. General anesthesia — through the full use of a breathing mask and IV sedation, the patient is rendered completely unconscious. IV Sedation is the process of administering sedation medications intravenously. This can range from moderate to complete levels of unconsciousness, depending on the strength of the dose (which directly relates to both the patient’s anxiety level and the extent of work to be done). Because the medication is received through veins, it works quicker and your dentist can adjust the amount of sedative administered as needed, continually throughout the procedure. However, no matter the type or strength of sedation therapy you receive, a local anesthetic (numbing agent) must be applied to help with local pains around the surgical area. Pain — according to Colgate’s recent study, 6% of dental patients experience fear of pain as the primary reason for their dental phobia. Exhibited mostly in adults over 24, this fear may be a result of visiting the dentist before “pain-free” methods were developed in the past several years. Childhood trauma — almost every child fears going to their primary care physician or dentist, in one way or another. If this is coupled with a procedure performed early in life where pain or discomfort was experienced (even something like novocaine injections), later life anxiety could intensify.